Growing up as a kid in the 80’s the NBA was my favorite sports. That is saying something considering I grew up in Pittsburgh, which had no NBA team, and I currently have a Steelers tattoo. I used to play basketball with my tongue out so that I could be like Mike and wore boy size medium shorts so that I could be like Larry Bird and Kevin McHale. The NBA action was FANNNNNN-TASTIC! Unfortunately over the last 25+ years things have changed and the NBA is not the same as it used to be. One and done’s are the norm and there is way too much one on one basketball. Because of the Internet, Sportscenter playing 47 times a day, and mobile phones every second of every game has the potential to be a highlight or lowlight and the play on the court reflects this. As much as I’d like to say that David Stern and the NBA are the only ones to blame I can’t. We as fans are also to blame. The advent of cell phones has created this impersonal relationship where people care more about checking their Facebook page than they do the action on the court. 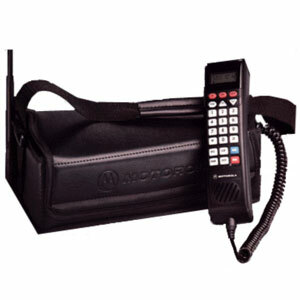 Back in the 80’s cell phones came with backpacks and you were charged something crazy like $9 per minute plus roaming charges. Unless you worked for Hans Gruber you probably didn’t have one (or could afford one). When people went to a game they only cared about the people around them and the action on the court. Half the beauty of these NBA action Fan-tastic videos is the pure elation/reaction (and clothing) of the people in the stands. They go bonkers for some rinky dink layup by Isiah Thomas like they just saw one of the cheerleaders tops fly off. Over the course of this week I’ll show you some NBA Fan-tastic promo videos that previously ran. Hopefully these videos will make my point and we’ll be able to see where things started to go down hill. NBA action Fan-Tastic video from the 80’s.